– 2.4GHz 4CH wireless WLAN CCTV security system,Simple installation- no cables required! 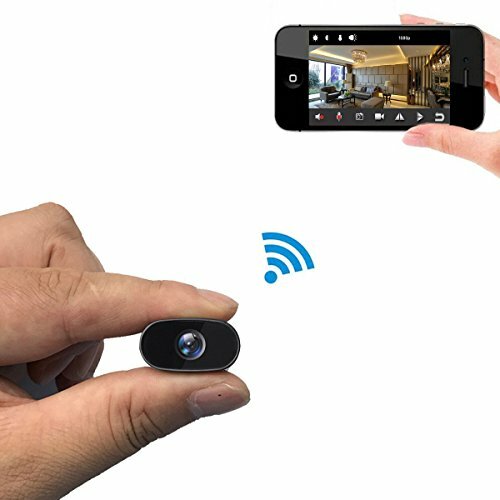 – The wireless cameras stream without the need for video cables to the main DVR/NVR unit. 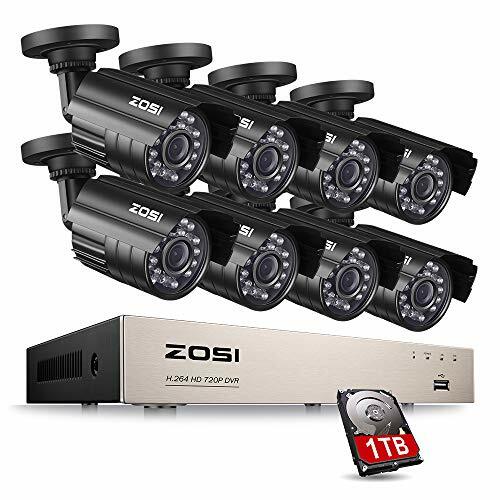 – Support P2P technology, the CCTV DVR/NVR can be linked through the internet without any complicated port mapping. 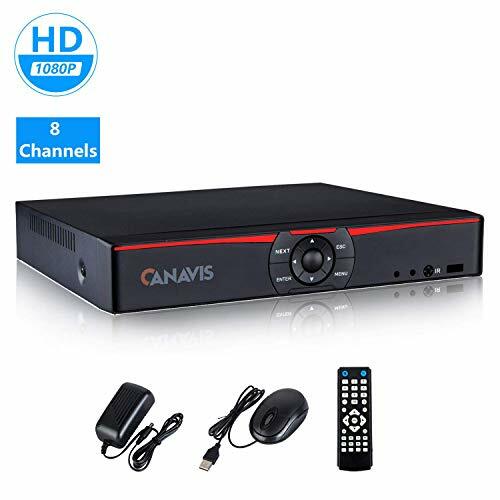 – 1080P resolution DVR/NVR can provide true color high definition HD image. 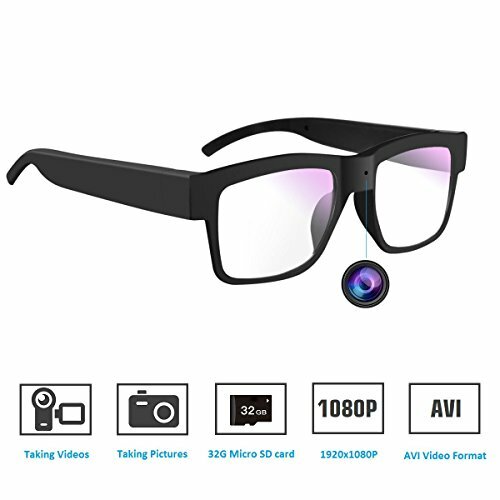 – 960P 1.3MP HD high resolution camera provides clear and accurate video footage both day&night. – IR-CUT filter provides true color image during daytime IR LEDs privide high quality B/W picture. – Support motion detection, send alarm information by Email. – Support 4 channel simultaneous live viewing via your smart phone. – PC surveillance software and mobile phone client are included, very easy remote network surveillance. – This NVR doesn’t include the built-in hard driver. You are required to purchase the extra hard driver, which seagate or west digital brand will be more compatible with NVR. 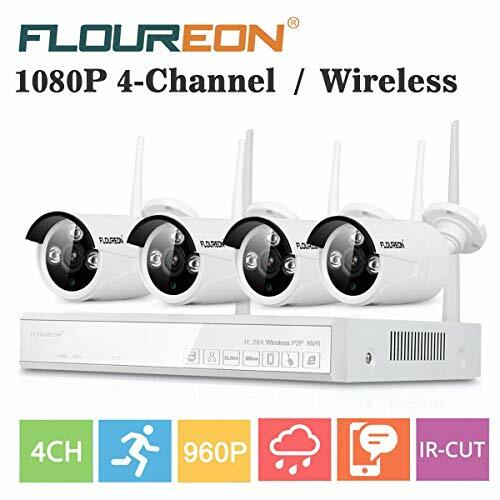 【Easy installation,Plug and Play】– Wireless Video Security System is Easy to Setup and DIY Installation without any Video Cables. True Plug and Play. Connect the NVR and Cameras with Power Supply Provided. Connect the Mouse to NVR. Connect PC/TV monitor to NVR with a VGA/HDMI Cable. Connect the Router LAN Port to NVR WAN Port with Network Cable Provided. The Video will Show Up. 【View from anywhere anytime】– Download Free APP “IP PRO” from Android Google Play or Apple APP Store. Check in on your home or business wherever you have an internet connection. Free App for Live View & Playback on Smart Devices. Smart Phone Support: iPhone, Android ,Ipad. You also can setup the Detection zone from your NVR to minimize false alarms. 【Customizable advanced motion detection and Email Alert】– Be notified when there are unexpected movements. Smart notifications with image will be pushed to your smartphone via iPhone/Android App. And you won’t miss any moment with remote and local playback. 【No Include Hard Drive】–This system does not come with hard drive. A 3.5 inch SATA II Interface (Max 4T Hard Disk). You will Get a sharp and crisp image day or night with the camera’s automatic IR-cut filter. Up to 60ft night vision. 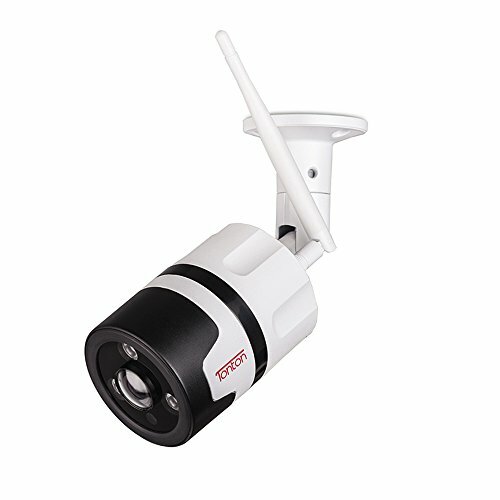 IP66 weatherproof housing, cameras can be used indoors and outdoors. 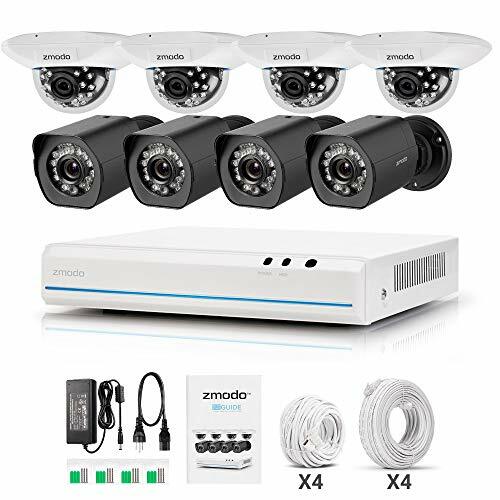 【Noted & Warranty】– Please Note that this is not Battery Powered Cameras.The Wireless System Don’t Mean You can Use the System without Any Cables. You have to Connect them to the Power Adaptors for Supply Power to Camera and NVR. No Need Video Cables. 24-MONTH quality Warranty, Life time Tech Support ! If your product stops working in the first year we will try our best to replace it for you.